If you live in a metropolitan area, one of the first things you likely check before heading to work or other destination is the traffic report. This way, you’ll get an idea of how long it will take you to reach your destination. You will also be able to plan your route and shorten travel time. The same principle applies to websites. You have to check and analyze your website traffic report regularly so you’ll understand what’s going on in your website. However, while you may dread real life traffic, it’s everything you want in your website. Numbers Tell a Story ! Your website numbers can give you an insight into how well your marketing campaigns work. 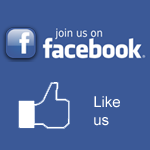 How many visitors do you get from your PPC campaign compared to your Facebook marketing campaign? Which gives you better conversion rate? By keeping an eye on your website traffic report statistics, you’ll understand which marketing method you should focus on and drop those that don’t give any significant return for your investment. • Visitor report. I look at the number of visits for a given time period and pay special attention to number of unique visits. Other information I review are total number of pages visitors viewed for a defined period, pages that get the most views, how long a visitor stays on your site before bouncing to another website (this is referred to as bounce rate), and average time spent on site. • Traffic sources. Traffic is categorized into three types based on the method they used to reach your website. Direct targeted traffic refers to people who reach your website by typing in your website address directly on their browser or by clicking on a link in their email, message, or bookmark. Referring traffic refers to visitors who arrive at your site by clicking on a link from another website. Search engine traffic are those who found your website on the search results page and clicked on it. 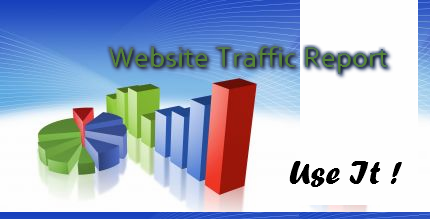 Website trafficreports provide invaluable information about your website. However, numbers alone won’t give you any idea about our ROI or the success or failure of your marketing campaign. You have to actually take the time to analyze and interpret your site traffic report numbers and what they say about your marketing. This may mean comparing data (e.g. number of visitors vs. number of unique visitors, number of direct traffic vs. search engine traffic, etc) as well as putting information in context.